marco z.k., born in croatia, now living in austria, began quite early to define music in good or bad. with 15 years he started to spin the wheels of steals in austrians legendary nova club, which was a base for his future working as a musician. besides his activity as a dj, which brought him abroad, too, toniﾕs interest for producing grew. after buying some hardware he realized that heﾕs more into the software stuff, and still toniﾕs productions exist of several software and controllers. 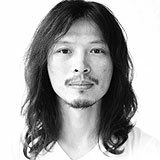 at a time where techno was clear defined he got influenced by acts like adam beyer, marco carola, josh wink, plastikman, but also from artists like denki groove and the advent. 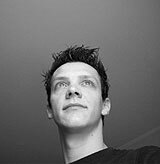 2002 he got his first feedback for several years of hard work, he released his remix of dj rushﾕs ﾒget on up remixes epﾓ together with umek and chris liebing on the london based label pro-jex under the synonym marco klacid. 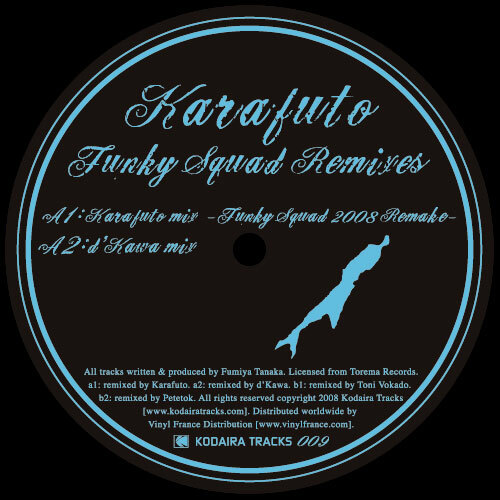 after that release it got quiet around toni, as he set his priority on starting a family until he published a remix for shiroko tengai, followed by his debut ep audio- worker on monika kruseﾕs second label electric avenue recordings. the feedback for his first ep was amazing. acts like richie hawtin, ricardo villalobos or magda rated it very high in their top-ten records and played it throughout the whole world. at this point he decided stop djing and henceforth be a strict live-act. in 2005 vokado met the label owner, producer and dj yossi 確moyal with whom he started the freiluft project and released the infront ep on safari electronique, france. a new toni vokado ep on electric avenue recordings followed in 2006 with the title um die eigene achse which got great reviews from german maga- zines as groove or raveline. at the beginning of 2007 toni vokado became a member of the family affairs booking agency existing of artists as john aquaviva, monika kruse and karotte, just to mention a few of them. his live-sets are marked by pumpinﾕ, deep grooving baselines which makes it nearly impossible for everyone to stand still. he always knows how to bring it to the top and take it even a step further. in the future he planed new projects with several artist, an own album and releases on different labels as sushitech, stockholmaudio recordings, and, of course, electric avenue recordings.